With almost 100 years experience in supplying the building industry, we’ve learnt a few things along the way. Our experienced manufacturing and technical teams love a challenge and have great pride in bringing your ideas to life. Precast Concrete Surrounds or Plinths with access covers or grates. 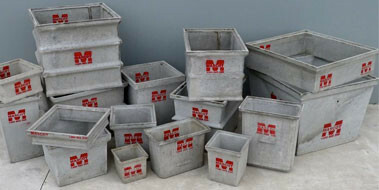 Choosing the right product for your application – Cable Pit, Drainage Pit, Load Ratings, Trade Waste pre-treatment etc.